Hey Verve fans! 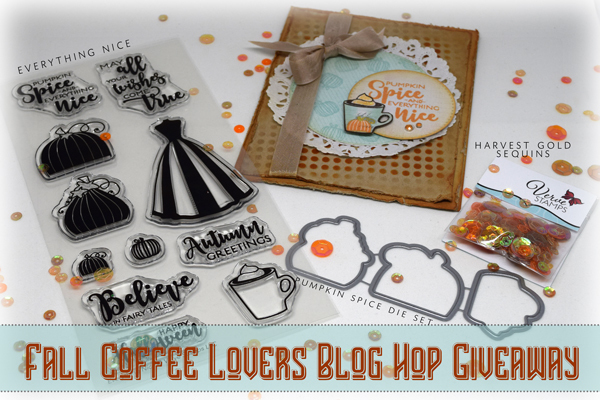 I'm popping in today with the winner of our Fall Coffee Lovers Blog Candy Giveaway. Thanks for all your wonderful comments over the past week. I've so enjoyed reading every one. and a handmade coffee card! Congrats Arianna! Send an email with your shipping address to me at contests@vervestamps.com and I'll get your prize in the mail. That's all for our winners announcement. Stop back by tomorrow morning for the reveal of our October release, a super fun Release Day Spotlight Blog Hop, plus a chance to win our entire October release! See ya then!